Just point your Bower client at Artifactory and make your front end the best it can be. 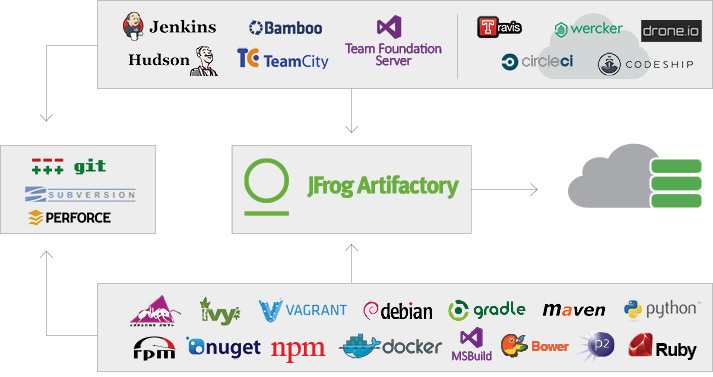 Artifactory’s support for VCS repositories enables it to proxy the Bower registry for you. All you need to do is create a remote repository to proxy any Git repository you want to access and point your Bower commands at Artifactory. Then, all you need to do is continue being productive while Artifactory manages your front end components transparently in the background. Artifactory provides you with flexible search capabilities to help you find the components stored in your system. In addition to mimicking the basic search available from the Bower Registry, Artifactory comes with a set of common built-in searches. For example, you can easily find the “latest” version of any component without having to specify a version number. The full power of searching with Artifactory comes through custom properties which can be assigned to specific versions and later used for search. With these capabilities, Artifactory’s flexible smart search lets you search for components using virtually any set of rules relevant to your workflow. Artifactory’s support for Bower streamlines front-end development letting the developer concentrate on writing code without having to worry about security or availability of the Bower Registry.